Glossy Box offers Get 20% Off your 3, 6, and 12 month subscription via coupon code "FALL14". Offer not valid for limited edition boxes., 3, 6 & 12 month subscriptions only. Glossy Box offers Free Glossybox Blush with Any New Subscription via coupon code "PINK" for monthly, 3, 6 & 12 month subscriptions only. Offer not valid for limited edition boxes. 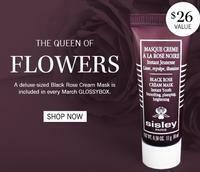 Glossy Box offers Sisley black rose cream mask (10ML) in March Glossybox. Glossy box offers a free Ardency Inn Cream Eyeshadow Pen With any new subscription with coupon code "GBPEN"
Glossy Box offers Free MALIN+GOETZ Lip Balm with New Subscription via code LIP. Expired $25 OFF with 6 Months of GLOSSYBOX subscription. Glossy Box offers the $25 OFF with 6 Months of GLOSSYBOX subscription(was $115) via code DOLLAR25. Deal expires July 29, 2013. Expired Free Eyeshadow Duo from ModelCo ($23 value) with any GLOSSYBOX subscription. Glossy Box offers Free Eyeshadow Duo from ModelCo ($23 value) with any GLOSSYBOX subscription via code LOVE. Glossy Box offers Free Full-size Eye Liner ($14 Value) with New Subscription via code WINK. Deal ends May 29, 2013. Glossy Box offers Free Full-size Zoya Nail Polish($8 Value) with New Subscription via code BDAY. Deal ends May 15, 2013. 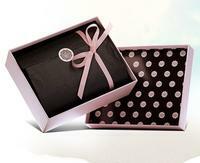 Glossy Box offers Limited Edition Mother's Day Gift Box (was $70) for $30 with free shipping. Deal Expires April 26, 2013. Glossy Box offers Free Zoya Nail Polish ($8 Value) with Any Subscription with code: FUN. The color of Zoya is Zuza - the hottest shade this Spring. Deal Expires April 21, 2013. Glossy Box offers Free Heartland Fragrance Loofah Soap ($8 value) with Monthly Subscription via code FBSOAP . Glossy Box offers Free Duo Lips Lipstick & Lipgloss by Modelco (a $39 value) With Monthly Subscription via code LIPS. Subscription for one month is $21. Deal ends 1/22. Extended to 1/27. Glossy Box offers Free Deluxe Soap With Monthly Subscription via code LUXE. 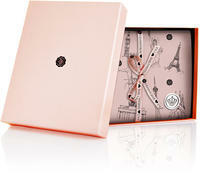 Expired Get a Free Lipstick With Monthly Subscription at GlossyBox ---- Extended! Valid until October 31. November 5.